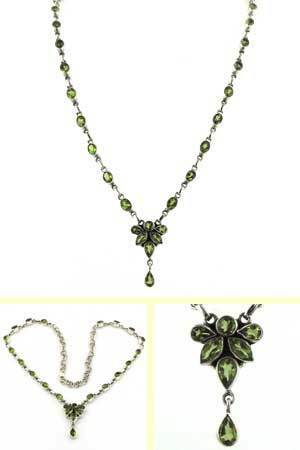 Peridot pendant necklace set in sterling silver. 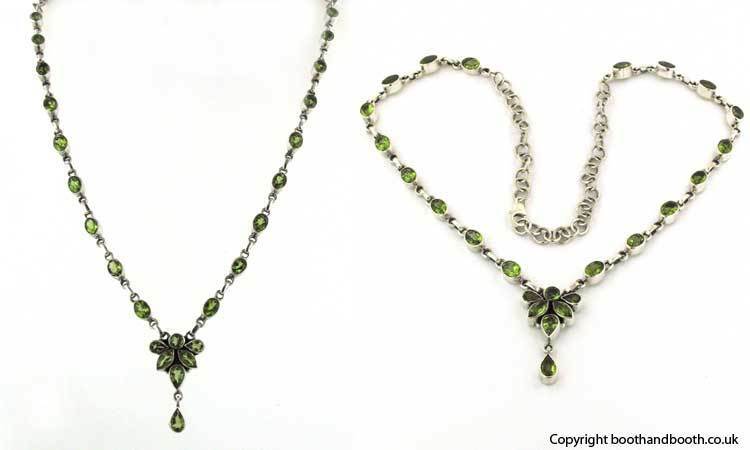 This beautiful peridot necklace features an abundance of peridot gemstones. 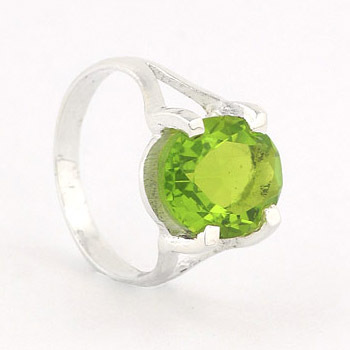 In addition to the flower pendant, there are 18 oval peridots set into the chain. 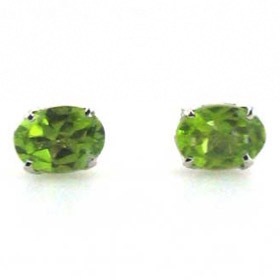 Each sparkling peridot is collar set into sterling silver. 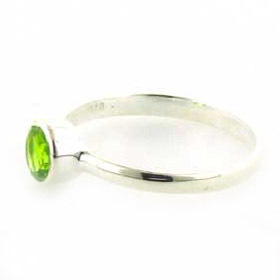 This peridot necklace looks wonderful on and the peridots extend around the side of the neck. 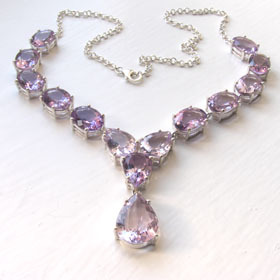 The necklace is finished with a belcher chain and has extra links for length adjustment. 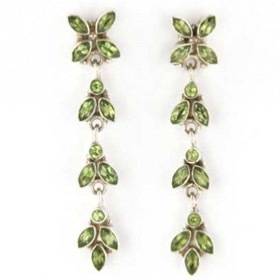 For coordinating earrings see Mayla.